Ahhh, what an enchanting night it was! 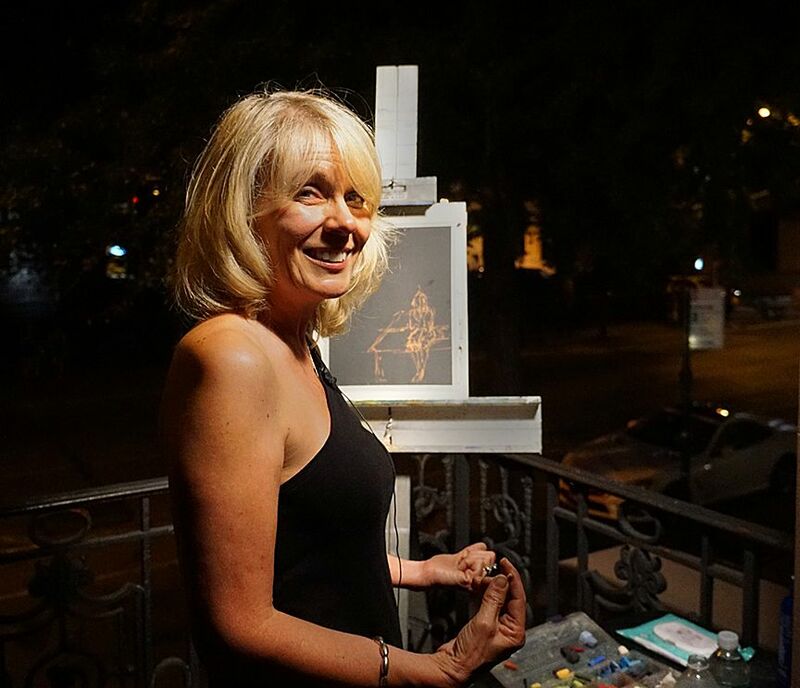 — “The Noble Nocturne, A Plein-aire Demonstration by Pastelist Anne Kullaf” was staged on Salmagundi’s two balconies with a live audio and video feed to a large screen TV placed just inside the parlor windows so the audience could watch the artist, the model and the easel simultaneously (kudos to Chris Nunnally for this extremely innovative setup). To view full size click first thumbnail and then use keyboard or rollover arrows to navigate (swipe on mobile devices). ← July 12: “Anybody See My Baby?” • Arrival of SCNY’s piano for the next 100 years.